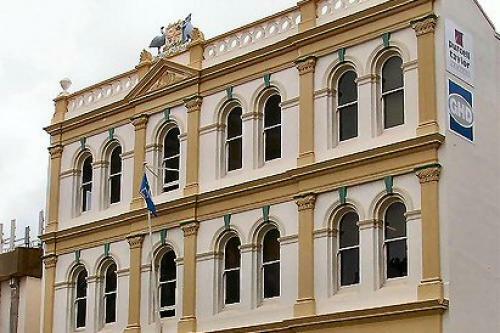 The redevelopment of Federation Place in CBD Townsville had a key goal – to ‘green’ the building to ensure it would maintain its prominent role in the city. Federation Place has had many guises as a landmark building – from a drapery wholesale warehouse, a war room during World War II and then government offices to most recently professional tenancies and an arts precinct showcasing local work. Daniel Martin, Air Conditioning and Refrigeration Service Manager. “The owners Chester Holdings, were really keen to demonstrate how a heritage listed building can evolve into a sustainable one, especially in a tropical climate,” Daniel adds. Appointed by project managers GHD, AE Smith collaborated on scoping and design of air conditioning systems to help achieve a range of energy efficiencies that’s helped the building receive its lowest electricity bill and considerable improvement in building amenity and temperature control. At the heart of the project is a unique community interface program, where the public can access building data through a portal between the building and the web created by Science Mob. Installation of a photovoltaic generation system to produce the equivalent of building common area electricity consumption. For more information about how AE Smith can help deliver practical solutions in air conditioning, building services and energy efficiency in Townsville and North Queensland, please contact Mark Lovelady on 0407 585 020.